There are a number of herbs that are good for your skin. But when you suffer from acne, good is not enough! You need SUPER herbs and skilled preparation to get a true natural medicine that actually works. As wine grapes yield a different quality and taste depending on where and how they are harvested, the similar rule applies, and is even magnified, with herbs. Different parts of the same herbs (leaves, root or stem) processed under different temperatures, and the method of extraction, may provide for totally different properties of a final product. According to the principles of Traditional Chinese Medicine, acne and rosacea are due to excessive "heat in the body". A common term for acne in China is "heat sores". So, the herbs used to treat acne need to decrease the "heat." In Western medical terms, the herbs that work help reduce and balance sebaceous gland secretions, possibly impact factors that are responsible for stimulating this secretion and also work as anti-inflammatory agents. You may know that I worked for years on finding a solution that would accomplish this - and I have! 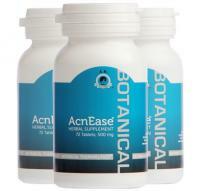 What is so great about the SUPER HERBS that we use in AcnEase, which are hands down super herbal acne eliminators? Gardenia Fruit (Fructus Gardeniae), specifically when ripe, serves as a base for herbal medicine regulating heart and lungs and (in Chinese Medicine) alleviating blood heat and removing toxins. Gardenia is one of the major ingredients present in AcnEase. Houttuynia (Herba Houttuyniae) is a Chinese drug made from the dried herb Houttuynia cordata thumb. It also impacts toxic heat, and promotes the drainage of pus. Scierotium (Poriae Cocos) assists in digestion and serves as a catalyst for improved metabolism. This ingredient works synergistically with " heat reducing" ingredients in AcnEase, thereby further reducing acne symptoms. 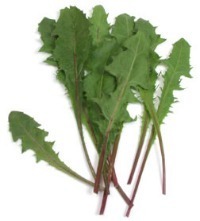 Dandelion (Herba Taraxaei) is a Chinese drug made from the dried herb Taraxacum mongolicum. Dandelion has a positive impact on the stomach and liver, and again it has the effect of removing heat and reducing swelling and sores. Dandelion is also attributed with decreasing the size of the abscess and dispelling the local inflammatory responses typical for acne breakouts. Balsam Pear and Mustard Leaf have similar properties in alleviating heat and improving intestinal function. Mustard Leaf is therapeutically related to balancing the lung functions, decreasing phlegm and alleviating pain. Please Note! I do not recommend that you run to your nearest health food store to buy all of these herbs to try to make your own AcnEase concoction. IT WON'T WORK. The ratio of ingredients in each treatment combined with the development process is a proprietary trade secret of ours. Knowledge is power though, right? And additionally you already know that the only way to eliminate and prevent acne FOR GOOD is from the inside. So make an informed decision!